Remind yourself to just take things One Day at a Time. Our wall decals are ideal for bedrooms, offices, living rooms, entryways, classrooms, even your car, bathtub or glass shower doors! 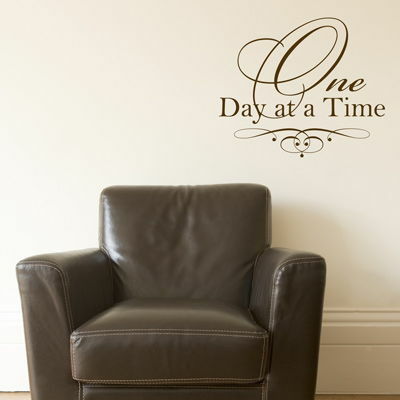 Our One Day at a Time wall words decal comes in one piece, ready to apply.